Goals: Participate in book talks Check out books. Read. If you are not done with Newsela article #1, please complete it for homework. If you have a library book from our last visit, turn it in or renew it today. Look forward to “Two Truths” as part of our debriefing time today. iPad Roster: How many students forgot their iPads? How many have damaged or not-working iPads / keyboards? How many students forgot to charge their iPads? Take out the book you read this week and open your #BookLove Reading log. Record your reading progress for this week. Listen to book talks and write the titles that interest you on your My Next Reads app (in notes). Goals: Browse using the Destiny app. Use the favorites feature. Check out books. Read. The second half of class today is reading workshop. Weekly pages 5 due TODAY. Did you turn in your English Journal? Download the Destiny app from Self Service. Log in to the app. Mrs. Ferrall will give you the directions. Browse by topic. Try out several different topics. Add several favorites to your list. Homework: Read. Charge your iPad. Bring your Book tomorrow. Goal: Learn how to use the online library catalog. Check out a book or three or four. Read. Weekly Pages 2 Due Today: Turn in to Google Classroom under English Journal. 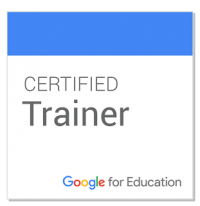 Click HERE to go to Google Classroom. In Safari, go to GV’s website at gvjh.org. Add this to your home screen if you have not done it yet. Click on Academics and Library. Press the share button (box with arrow in upper right) and add the catalog to your home screen. Follow the directions below. Your answers are due by the end of the period. We are working on paper today. Click HERE to open the practice in a Google Doc. After you turn in your Catalog Practice, find a book (or two or three) to read. Get cozy and start reading. Homework: Read 30 minutes daily (log completed tomorrow). Charge your iPad.